Sam Spacey Epica Bass, Other Virtual Synth from Time+Space. 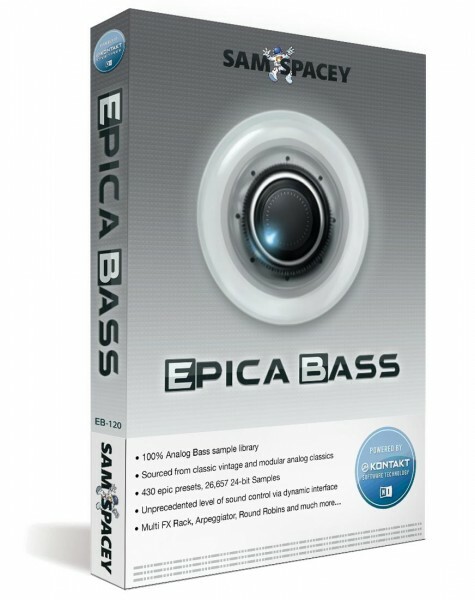 Sam Spacey presents Epica Bass, a dedicated analog bass synth library sampled from a large collection of classic analog synths and modulars. Sam Spacey, the producer behind the award-winning library Epica, has released Epica Bass - a dedicated analog bass synth library sampled from a large collection of all star classic analog synths and modulars. No emulations or plugins were used in the recording of Epica Bass in order to keep the recording chain as purely analog as the source synths themselves. 100% Analog Synthesisers used, no plugins or virtual synths. Arp Odyssey mk3 (orig), Pro 1, CS-30, SEM, Oakley Modular, Future Retro, Matrix 6r, SH-1000 and Telemark modular. Boutique hardware recording chain: UBK Fatso, Kush Elektra, Eventide H8000, DBX160XT, Neve Pre amp and several rare guitar pedals. Multiple Round Robins utilised to eliminate machine gun effect as well as velocity sample groups. 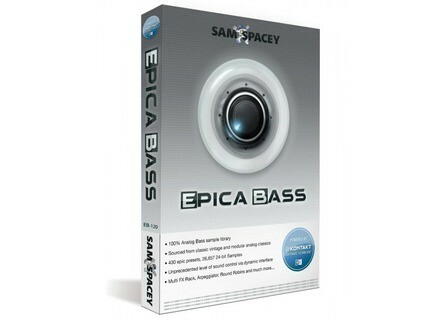 Epica Bass is currently exclusively available from Time+Space for the introductory price of $102.07/£65.83/€88.76 (+VAT) instead of $115/£74.17/€100. Ólafur Arnalds Evolutions intro price ending soon Spitfire is offering a special introduction price on its Ólafur Arnalds Evolutions library until tonight.